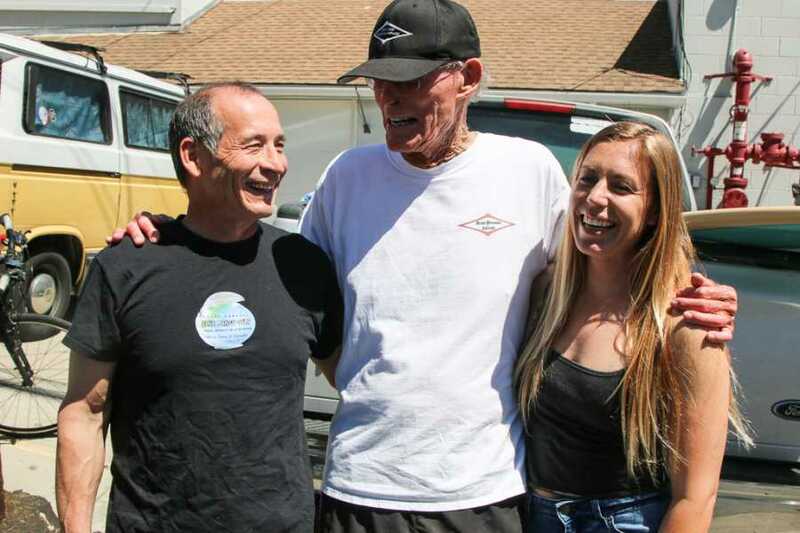 Hap Jacobs shaped his last surfboard last week. The board was a clear glassed, 9-foot Performance model, with a single stringer down the middle and red pin stripes wrapping the rails. Jacobs has never made showy surfboards. Nor, despite his legendary status, has he ever wanted to be the center of attention. 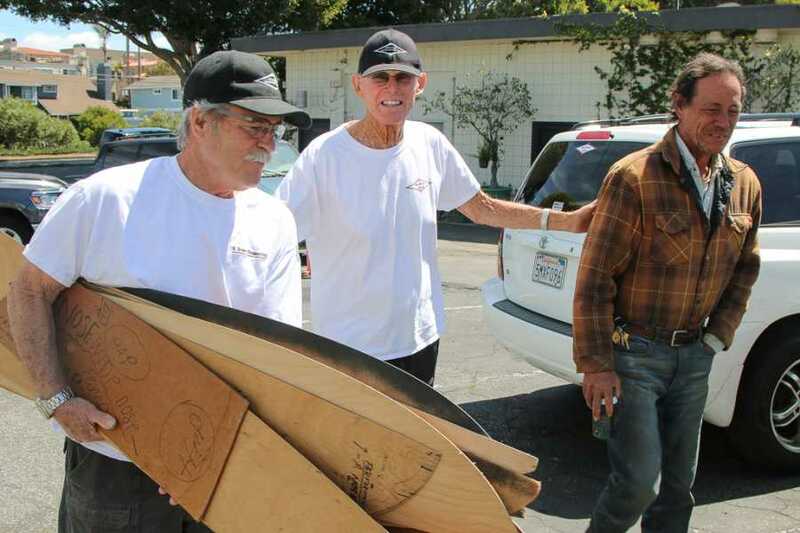 He returned to his Cypress Avenue shaping bay on Saturday for a photo with his last shaped board only at the insistence of friends and team riders. Unlike most retirement gatherings, the photo session on Saturday wasn’t celebratory. Jacobs’ smile looked heartfelt as he posed for photos and shook hands, but everyone else’s was circumscribed. 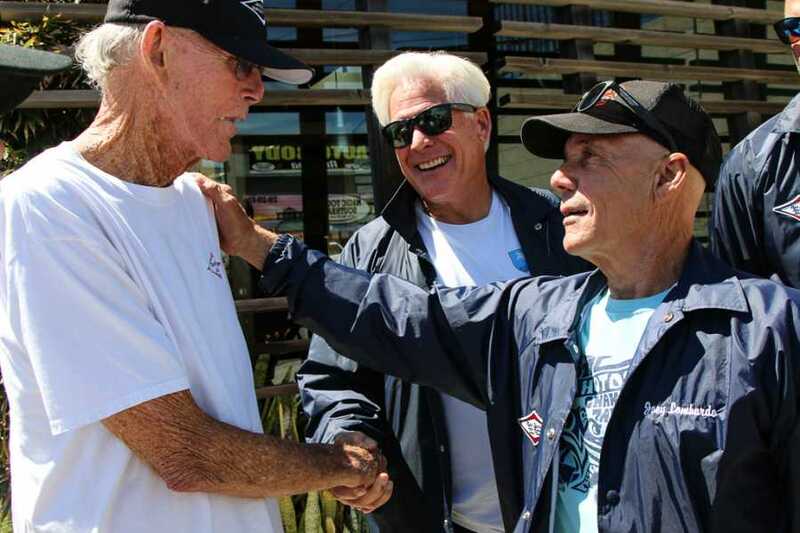 Jacobs was the last working of the four great Hermosa Beach shapers from the Golden Age of Surfing, in the late 1950s and early 1960s . 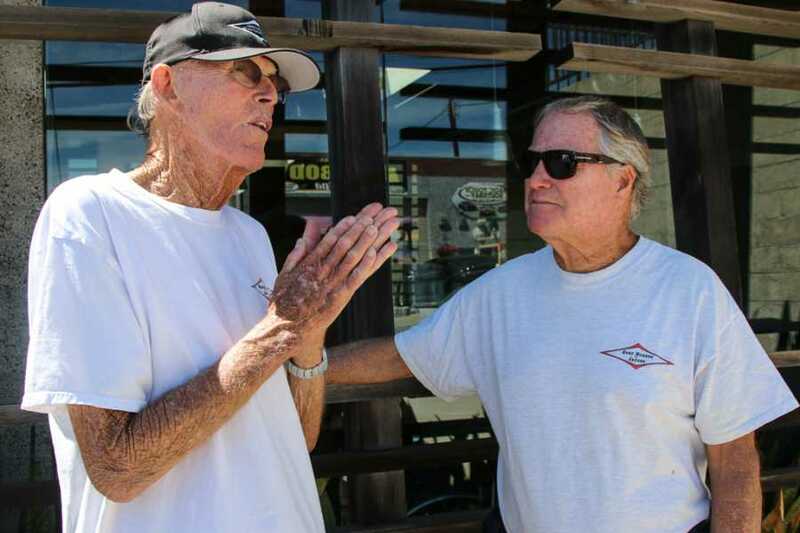 Two of them, Greg Noll and Bing Copeland, closed their Pacific Coast Highway surf shops and their Cypress Avenue factories in the early 1970s. Jacobs stopped shaping in 1971. 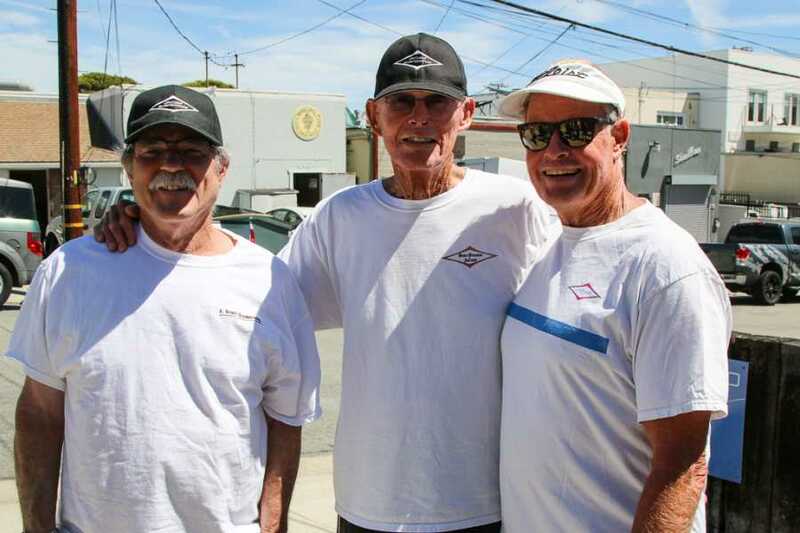 The shortboard revolution had ended longboarding’s popularity. 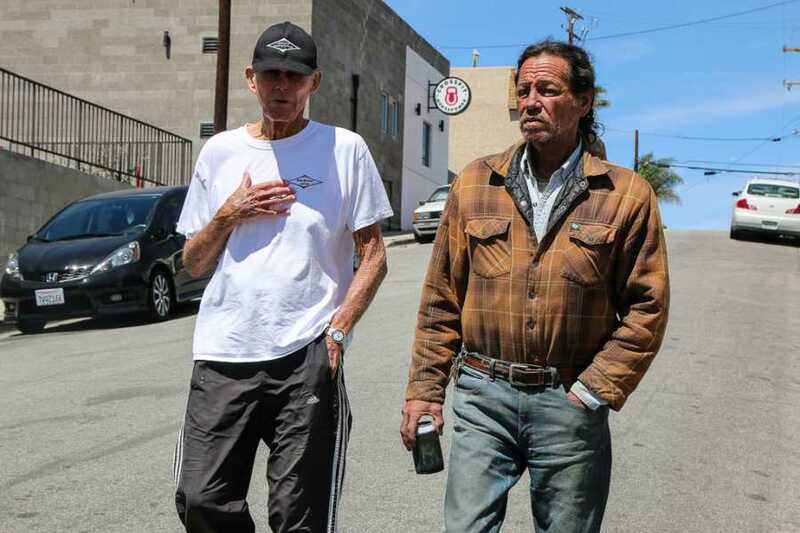 Rather than discount his masterfully crafted longboards, Jacobs carried them out back from his Pacific Coast Highway showroom and sawed them in half . 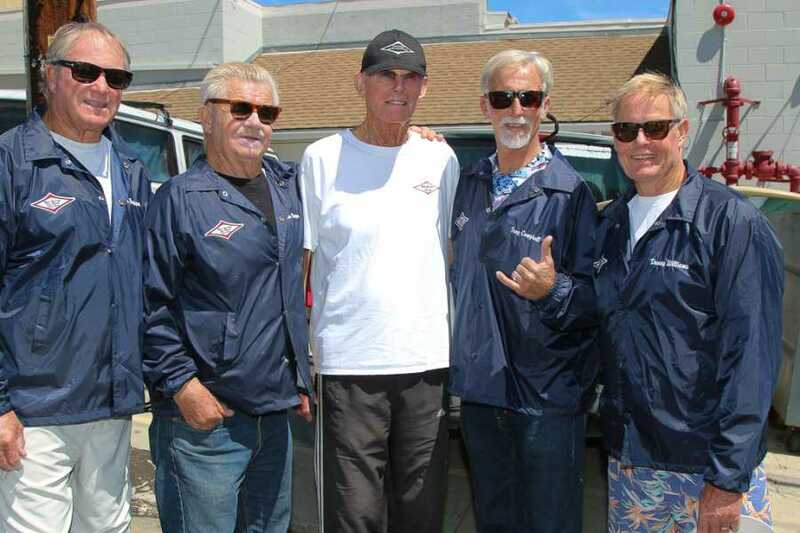 Dewey Weber, the fourth great Hermosa Beach board builder of the Golden Age, transitioned to making shortboards. But he died 25 years ago. 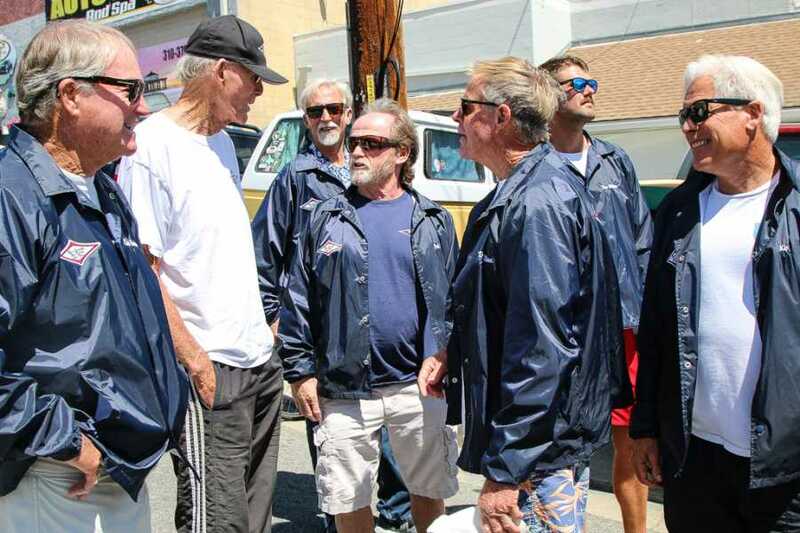 After he stopped shaping, Jacobs made his living running the King Harbor fuel dock and catching swordfish from aboard his “Patricia J,” named after his wife Patty. 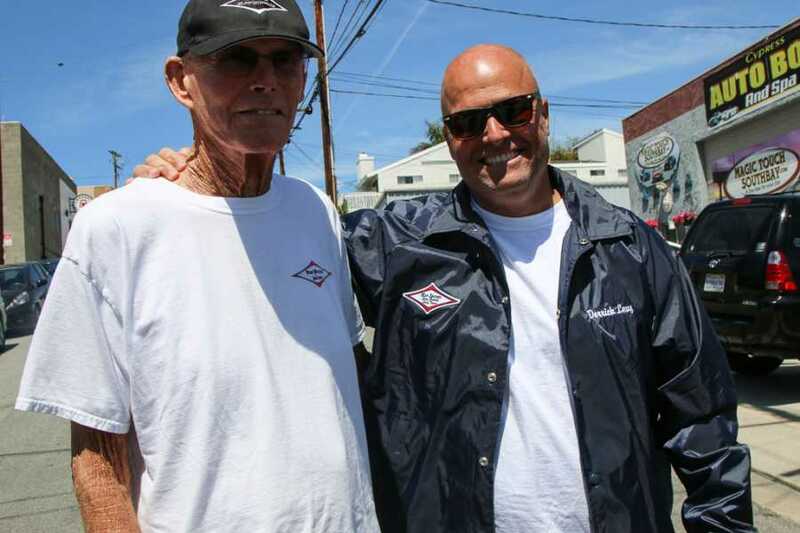 He resumed shaping boards during the early 1990s longboard revival, but on a modest scale for friends and team riders. Periodically, he would announce his retirement, only for word to leak out that he was back in the shaping bay. But this time there was a finality to the announcement, unrelated to being 88. He remains mentally quick and physically agile. 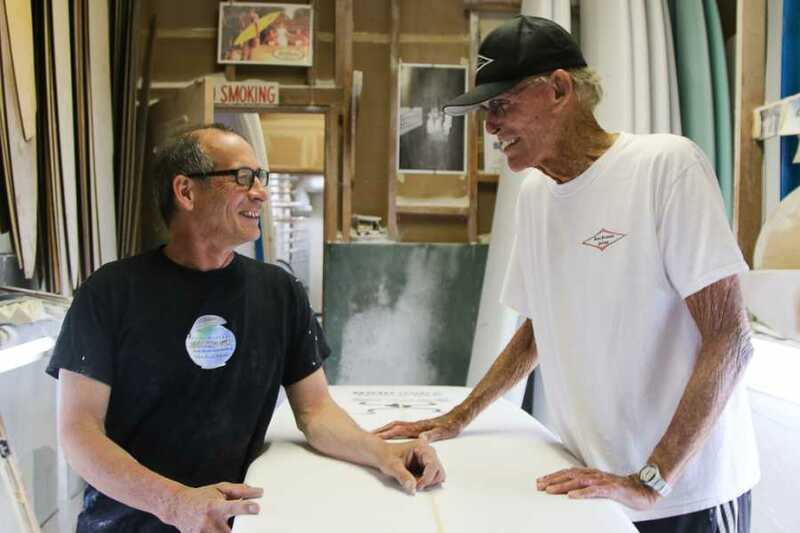 When he arrived for the last board photo session, he pulled from the back of his white Toyota SUV the thin plywood templates he used for over five decades to inscribe surfboard blanks with the outlines of his popular Performance and 422 models.